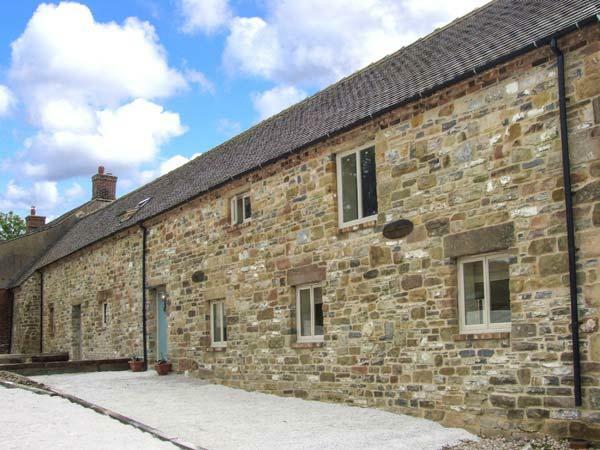 Luxury holiday cottage refurbished to a very high specification and extensively equipped for your comfort and convenience. Private enclosed gardens with large lawn area bordered by shrubs and trees. Open views over the golf course towards Buxton and over the farmland at Barms Farm. 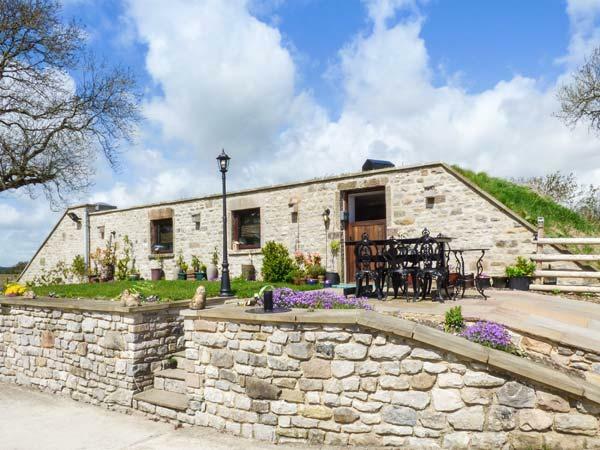 Situated one mile from Buxton and the famous Buxton Opera House, restaurants and shops, Audreys at Barms Farm offers immaculate accommodation for up to four adults within two large double rooms. Both bedrooms have king size beds, egyptian cotton linen, quality duvets and pillows and two identical en-suite bathrooms that have a corner shower cubicle, large soaker bath, vanity unit, egyptian cotton towels,towel warmer, toiletries and underfloor heating in both. Large oak floored entrance hall, light and sunny south facing lounge with feature fireplace, spacious well equipped kitchen/diner, utility room, cloakroom and a very useful large drying/storage area for walkers. Free wi-fi, Sky Freeview on a 40" television and lots of information on the area for your use. We do not accommodate smokers, pets or children. Everything you could wish for, bungalow is exceptional, clean, well presented , all the gadgets you need in the kitchen, bathroom and lounge. Beautiful views over Buxton and distant hills. Ideal location for exploring Buxton and the superb villages in the Peak District generally. Lorraine made us very welcome and left us a super goody bag as well. 'Audreys' is the best holiday accommodation we have ever stayed in. It is spacious, extremely comfortable and spotlessly clean. After a warm welcome and a 'guided tour' we were left to discover the delights of the bungalow. A vase of lovely flowers and some basic food items, including freshly laid eggs from Lorraine and Johns' happy hens, made a good start to a very enjoyable stay in Buxton. We have stayed in many self catering accomodation around the UK but this was by far the best. We couldn't fault the building, equipment or the positioning and the attention to detail was magnificient. The welcome pack was brilliant and not something that we have had before. Absolutely wonderful and we are already recommending this our friends and family. Make up of party: Couple with elderly parents. Wonderfully furnished and spotlessly clean this holiday let is a real gem. Owner has spared little in the lovely furnishings and has a great welcome pack waiting every new guest. Would not hesitate to return to this rental property. Make up of party: friends, couple and four sharing. An exceptional bungalow that will not disappoint. The best and most comfortable and best equipt I have ever stayed in. Only a very short distance into the lovely town of Buxton. Would not hesitate to recommend. We thoroughly enjoyed our very relaxing week at Audreys. The exceptional property is immaculate and everything is of the highest standard. It has everything you could wish for to make your holiday enjoyable.The owners are very friendly and went out of their way to make us feel welcome.We look forward to returning in the near future. Superb accommodation which is equipped and maintained to an exceptionally high standard. A warm and friendly welcome and best attention from Nadine throughout our stay which we enjoyed very much and will have no hesitation in returning. excellent equipment and accommodation with quality fixtures and fittings. Good location convenient for all types of activity (golf on the doorstep!) and a good choice of places to eat to suit all budgets etc. Make up of party: two couples all retired. Certainly the best holiday cottage we have ever stayed in. Beautifully appointed in every way. We couldn't have wanted more. Ideally situated for travelling around the beautiful countryside. A return visit...definitely! A lovely place with good scenery and all tourist attractions close by. From Terry and Cynthia from Lincolnshire. Very difficult to say anything different to what has already been written. The property is fantastic and has everything you could wish for (and more). Will definitely come again. We have stayed in many wonderful hotels, motels and cottages on our travels, this wonderful bungalow is the very best we have ever had the pleasure to holiday in. The location is perfect, the home warm, inviting and incredibly well equipped and Lorraine a caring and wonderful hostess. 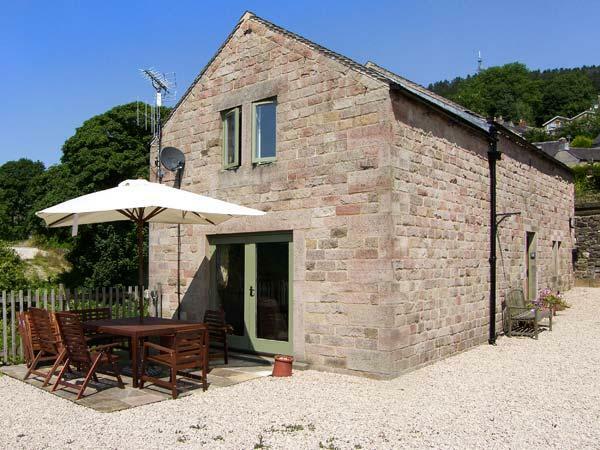 We definitely heartily recommend this cottage and it's owners to anyone wanting to spend time in the Peak District. The adjoining B&B leaflet (which we thoroughly enjoyed last year) says ` ...a Little Bit of Heaven ...` If possible, this is even more so @ Audreys !! Truly great accomodation- a must to visit. Audreys is a lovely modern cottage equipped with every conceivable facility and is absolutely spotless. 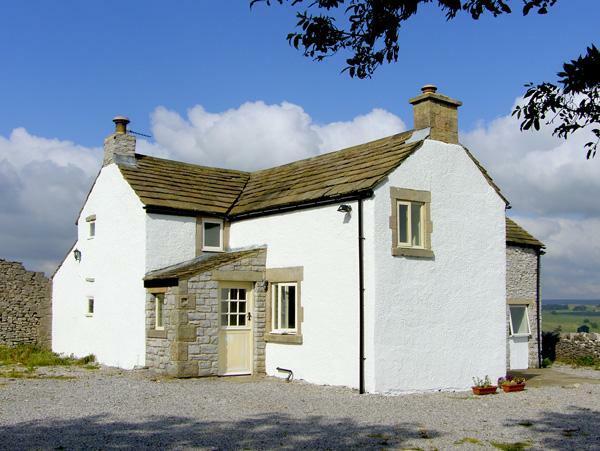 Sited within easy reach of Buxton and local facilities. Owners very friendly and helpful. Good location for the peak district. This was our second pre-Christmas visit and the standards are as high as ever. Try it-you won't be disappointed. Superb accommodation. A fantastic place to stay, in the heart of great walking and cycling country, and a wonderful place to come back to each day. My partner and I had a great holiday and can't wait to return one day. A superbly appointed property with all modern amenities. A great location for touring the Peak District. Lorraine gave us a very warm welcome and provided a very seful starter pack. Make up of party: Two couples from one family, one rather aged with limited mobility. Make up of party: Married couple and a senior widdowed parent. Audreys is the best self catering accommodation we have stayed in. Everything you could wish for is there, it is so very clean and well equipped. We were one of the first guests when it opened in 2009 and it still looks like new in June 2010. The main draw for us was the two bedrooms with an en-suire bathroom each. Fantastic - there aren't many of these properties around. Make up of party: Both times we have travelled with different friends and both couples were very impressed with the accommodation and the warm welcome received. 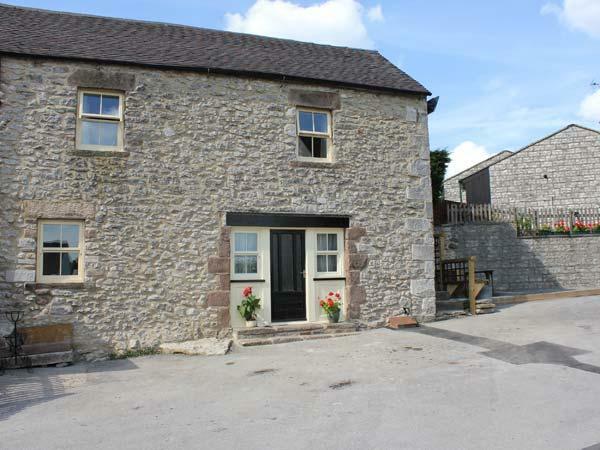 This is an extremely well appointed cottage both inside and outside,leaving nothing to be desired. It is a credit to the owner/manager Lorraine, who extends a warm and professional welcome to her guests, whilst remaining unobtrusively in the background. Thoroughly recommended to all types of parties. We stayed at Audreys over New Year and had a wonderful time. The two bedrooms with large en suite bathrooms are almost identical which means that two couples get equal rooms, something that is most unusual. Normally when we go away with friends, we toss a coin and whoever wins gets the king sized bed with en suite and the losers get the twin beds! We all enjoy cooking and we found that the kitchen had more utensils than most homes. The fridge was stocked with essentials on arrival. There is a large TV in the lounge and wi-fi is provided. The bungalow even has a heated garage to dry off your walking gear. Lorraine has thought of everything and no expense has been spared in making this a real home from home. We all said we would like to live there! 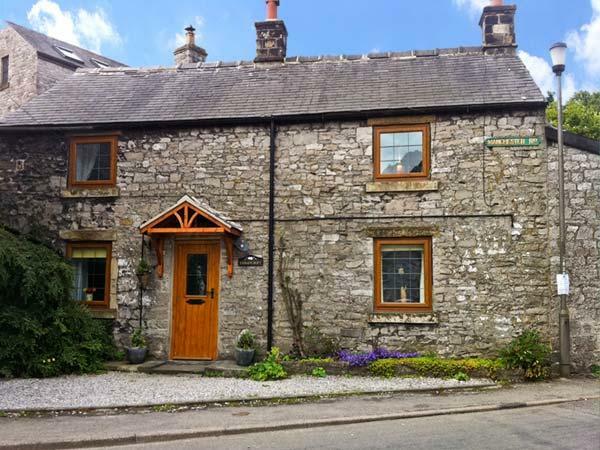 We now consider ourselves regulars at Barms Farm as we have stayed at the B & B a few times and have watched Audreys being transformed from an ordinary bungalow into a 5 star holiday cottage. We found Audreys by searching the web and soon discovered that the reality is even better than the web shows!! The cottage was immaculate and Lorraine has thought of everything needed for a wonderful stay plus the little extras - like flowers in the kitchen, fruit bowl and even a little bowl of sweets in the lounge - made it all the more special for us. The quality of furnishings made us feel as if we were being treated like royalty and Lorraine, who lives just across the way, was the perfect hostess - available when needed and yet not intrusive. We stayed there with my husband's parents who remarked that in all their 58 yrs of married life it was the best place they had ever stayed in! We would definately stay there again. Thank you Lorraine!! The very attentive owners have taken great care to provide such a high standard, this bungalow is the ultimate in self catering. Very spacious exceptionally equipped 5 star accommodation. Excellent position, beautiful well maintained gardens. Absolutely ideal - we were 2 couples visiting the Buxton Festival. The cottage is probably the best we have stayed at in terms of comfort and fittings. Wonderful bathrooms, superb kitchen and a very attentive owner in Lorraine. Audrey's fully deserves its 5* rating. It has been very well appointed and equipped. 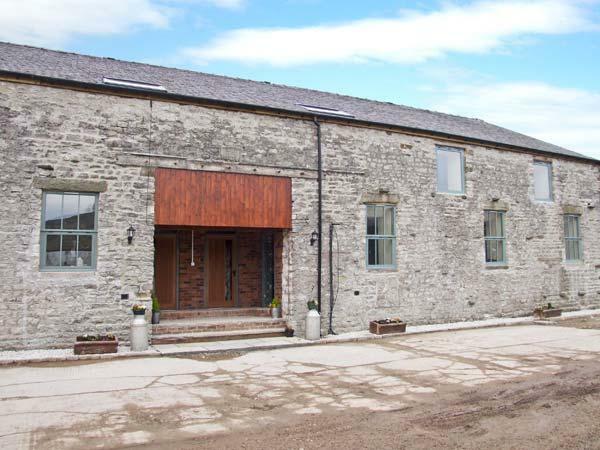 Its been done so well that it could have been featured on a property development TV programme. I've already recommended it to several friends who appreciate high quality accommodation. 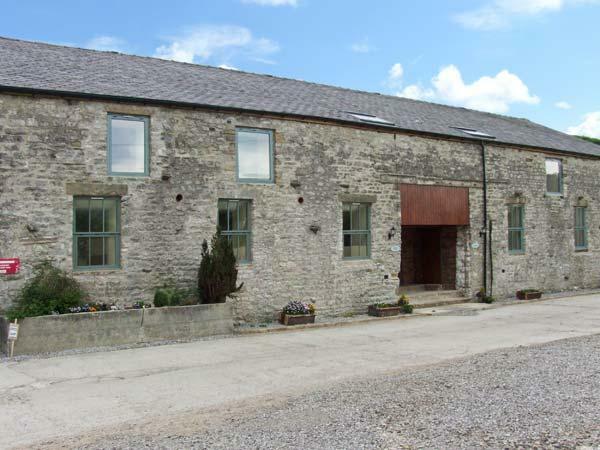 Located just outside Buxton its in beautiful countryside and has easy access to all the local facilities. We walked widely in the area and when we needed to were able to wash and dry any wet or muddy clothing over night ready for the next day. The kitchen dinning room is very spacious with a large range of equipment making self-catering on the nights we chose to very easy. It made a big difference to have both a free standing shower and a large bath in each bathroom. Clean spacious and modern with private space to relax in it was a much more convenient option that an hotel. As both bedrooms have the same high standard of facilities and bathrooms it’s a great option for two couples holidaying together as no one has to accept "the short straw" on room choice. The process of searching websites to look for accommodation is tedious. This is a real find you need look no further. Make up of party: Family members meeting up. A very well fitted out & fnished Bungalow for a Luxury break. The thought that has gone into everything makes your stay easy & comfortable. Audreys is beautifully situated within lovely gardens fronted by an old stone wall, and has open views to the front over a golf course and beyond. 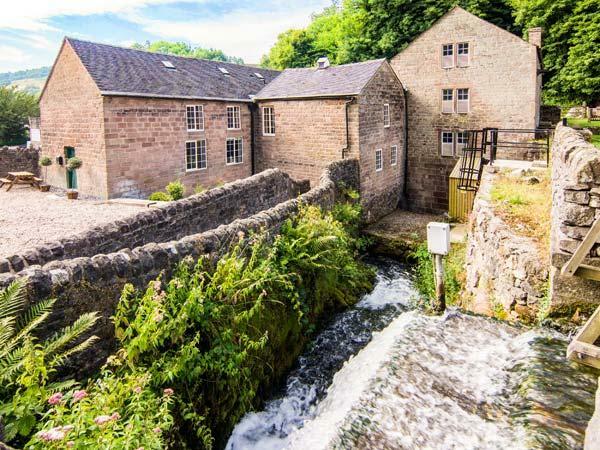 It is within easy reach of the famous spa town of Buxton and is a perfect base for exploring the Peak District, either by car or on foot. The bungalow is exceptional and fits the brochure description exactly. It is spacious and luxurious and much thought has gone into making a stay at Audreys really special. We have, in the past, booked self-catering cottages both in this country and Europe, and travelling to them always filled us with some sense of unease. This was not so when we discovered Audreys at Barms Farm! For some inexplicable reason we travelled to the Peak District somehow knowing that we were going to be extremely happy at Audreys; that feeling was not wrong! Without doubt, Audreys definitely deserves its 5 stars.